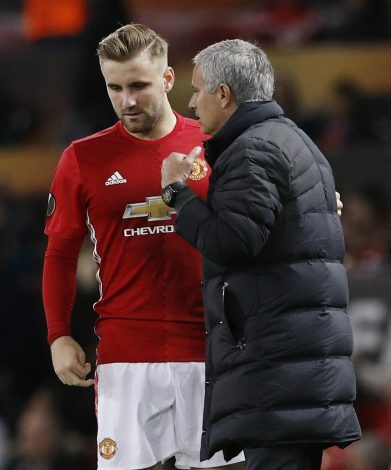 Jose Mourinho has decided to keep Luke Shaw at Manchester United by offering him a one-year contract extension, as per The Sun. Manchester United are set to offer a 12-month extension to Luke Shaw, who has just 10 months left on his contract with the Red Devils. The left-back arrived at Old Trafford in the summer of 2014 in a whopping €37.5 million deal, but he is yet to become a regular in the team. There were many reports that Mourinho will sell the player this summer, but the Portuguese has surprised one and all by giving the young defender another chance. The player seems to have clearly failed to realise his potential, with lots of injuries and fitness issues in the last 3 years. Yet, the defender, who is only just 22, can develop a lot if he gets his mojo back – something Mourinho is hoping for. The left-back appears to have got his wish, with a 12-month extension offer for him on the table. However, it would be interesting to see how many chances Shaw will get under Mourinho, who has a reputation of sticking with his first choice players.